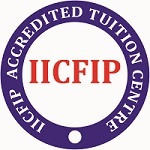 We are Accredited Tuition Center for In ternational Institute of Certified Forensic Investigation Professionals, " IICFIP"
Off-the-shelf software packages can do a good job covering the basics. But not every company works the same way or has the same needs. That’s why application functionality designed specifically to your requirements can help boost productivity and effectiveness. With our experience and strengths in consulting and architecture in multi-platform and multi-vendor environments and our solid software engineering process, we help you develop new applications, implement packaged solutions, integrate disparate systems and define and implement access to applications and back-end systems through e-services over different channels. We have experience in planning, constructing, integrating and maintaining heterogeneous enterprise applications in large and complex environments. With our unique skills our solutions are designed for easier and better application manageability and optimized for storage management. We work with you to define the best solution, and select or develop the application that best suits your requirements and fully exploits the value of current applications and platforms, covering: requirements analysis, design, development, integration, and support & maintenance. We also help you protect your current investments through migration and re-engineering of legacy applications. Our experienced business integration group delivers solutions that integrate internal and external systems and applications on different platforms, and that guarantee data integrity, unlimited scalability and high performance. We follow a proven methodology to define requirements, design systems, and develop solutions that can make an immediate difference in productivity, workflow, and, often, profitability. Often, dynamic organizations find they need to upgrade a critical and underperforming IT system. Customers may be demanding more than the application can deliver. Rapid growth may have made an inefficient system obsolete. Utilizing an independent, vendor-neutral approach, we can lead you through the process of system selection, from initial fact finding to contract negotiation. We can leverage our experience and industry knowledge to identify potential vendors who may provide the most fitting solution to your business need.